A great way to up-sell when customers are purchasing a high value product. For example, if a customer signs up for your annual membership product, you may want to offer a discount for whatever he purchases in the store. 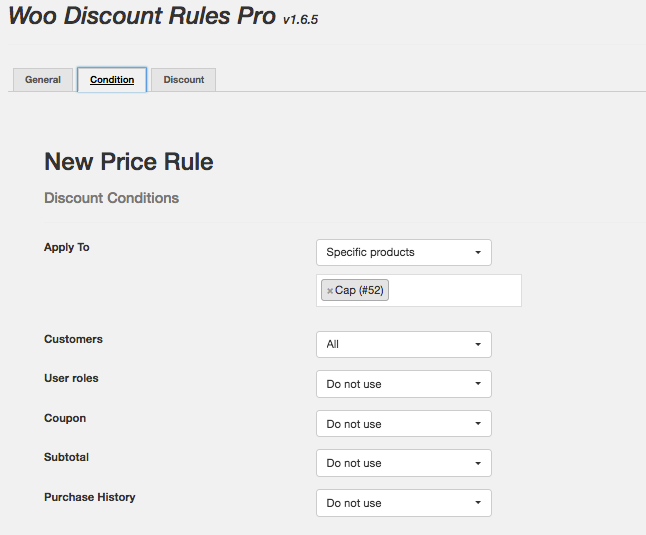 You will need the WooCommerce Discount Rules PRO for this discount to work. 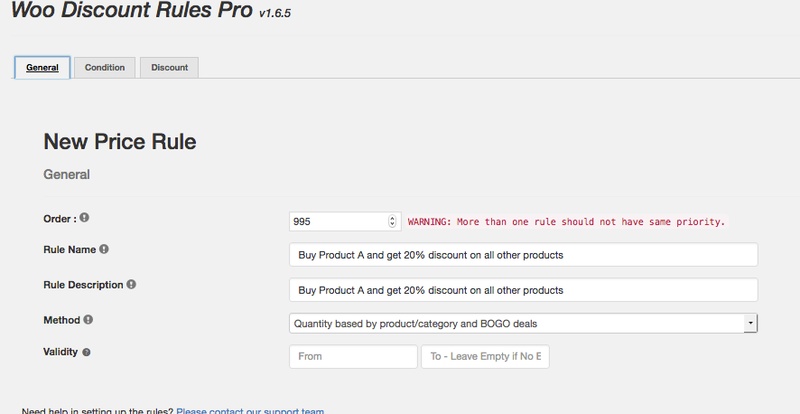 There are two ways of achieving this discount scenario with WooCommerce Discount Rules. 1. Using the Quantity based BOGO discount method - Good for stores with large number of products. Before getting into an example, you need to fulfil a requirement. 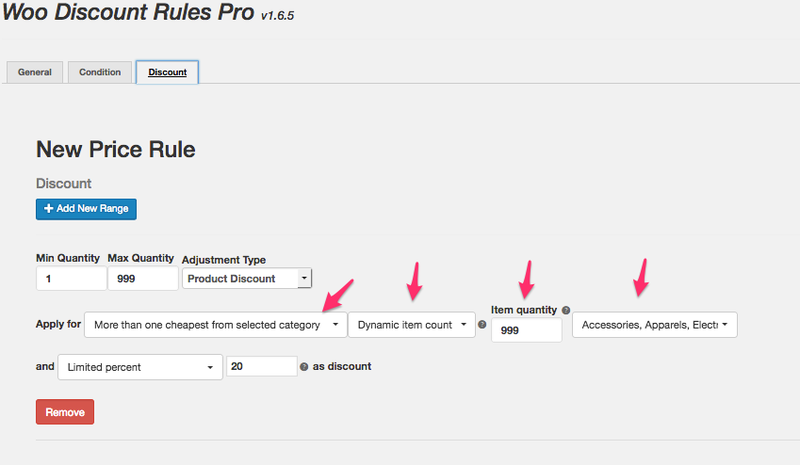 Let us create the discount rules configuration. 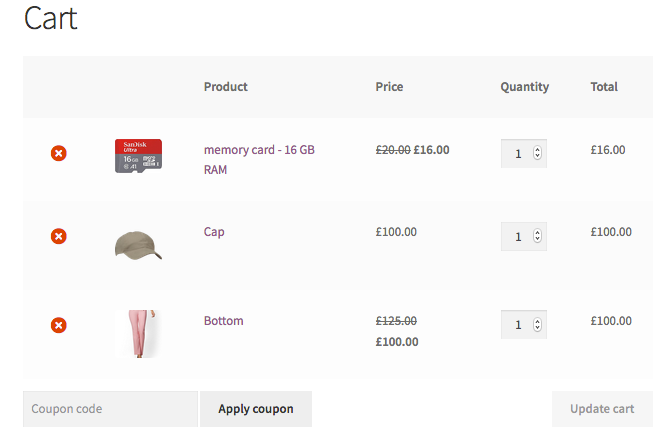 Notice that i chose the Adjustment type as "Product discount"
And it Applies To "More than one cheapest from selected categories"
Also notice that i have chosen the Dynamic count as 999, which means the 20% discount will apply to all products (any number of quantities) except "Cap"
So how does the discount look like in the cart ? 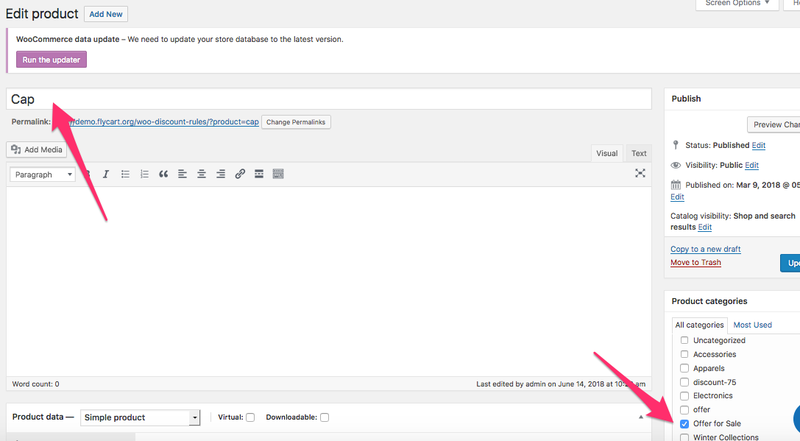 Notice that the discount is applied to all products in the cart except "Cap"
If your store contains limited products or when you want to provide discount for fewer products when a specific product is purchased. Then dependant product method would be the easier way. So in Conditions tab, you set the Product A and rest of the products which gets the discount when purchased A. So Buy any (Provide the ranges) that is the quantities. From product A and then get discount in all the other products. Similarly, you can have discounts when purchased one product A and get discount in a Product/Products.